Each year, thousands of construction workers and bystanders suffer serious injuries as a result of improper safety precautions at construction sites. About one in 10 construction workers suffer injuries annually, ranging from minor injuries that might take them off the job for a few days to severe injuries that could end their careers, or even their life. Assuming an average construction worker stays on the job for the entirety of their working career, or approximately 45 years, that worker has a 75 percent chance of experiencing a disabling injury, and a one in 200 chance of dying on the job. For younger and more inexperienced workers on the job, the risks are heightened: construction work is the second most dangerous profession in America for workers ages 17-20. If you have been injured on a construction site because of the negligence of someone else, you may be entitled to compensation for your damages. Contact Aitken * Aitken * Cohn in Santa Ana today at (714) 434-1424 or online to schedule a free consultation and learn if we may be able to help you. Why Choose Aitken * Aitken * Cohn? Aitken * Aitken * Cohn has an excellent reputation for success as personal injury attorneys. Our past clients have offered testimonials endorsing our counsel, advocacy, and commitment to every case. We have successfully fought insurance companies to get our clients full coverage amounts, and achieved million-dollar settlements and more. While past results are not a guarantee of future outcomes, when you choose the legal team at Aitken * Aitken * Cohn to represent you in resolving the claims from your construction accident, you will get our skills, experience, and dedication to achieving the best possible outcomes for your case. Our lawyers are prepared to negotiate when possible and litigate when necessary. Either way, when we represent an injured client, we will do what it takes to ensure their rights are protected and justice is served. Falls. Construction workers who work more than six feet off of the ground should have appropriate fall protection, including harnesses, railings, and appropriate assessment of the working surface to ensure it can safely support the weight of workers and materials. Unfortunately, and all too often, workers and their employers ignore fall protection regulations. This failure can result in catastrophic consequences: Falls may cause traumatic brain injuries, spinal cord damage, broken bones, and death. Objects dropping from overhead. Everyone on a construction site should always wear a hard hat to minimize the risk of injury from falling objects. However, even with hard hats and other appropriate safety precautions, workers can still suffer injuries from dropped or improperly secured objects. Dropped objects can cause traumatic brain injuries, spinal cord trauma, broken bones, and death. Electrocutions. Construction workers often work with or around live electrical wires. Failure to properly ground those wires can result in serious, or even fatal, injuries. Electrocution injuries may also occur when workers accidentally cut into unmarked wires or other areas. Electrocution can cause severe burns and cardiac injury. Additionally, electrocution victims may be thrown away from the source of the electricity by the current, causing spinal cord damage and broken bones. Crushing. Construction sites are filled with heavy equipment that can cause serious accidents, especially if workers fail to secure them or use it improperly. Crushing damage to limbs may be so severe it necessitates amputation, while a worker crushed between two machines, between a machine and a building, or inside of a piece of equipment, can be fatally injured. In addition to these most common causes of injuries, there are many other risks at construction sites, including exposure to toxic chemicals or substances, improper eye protection when operating equipment, and failure to follow safety guidelines while driving and using commercial vehicles. Construction workers also often work in dangerous conditions, such as on highways and interstates, and risk prolonged exposure to the elements that can cause either sunstroke or frostbite. Who Has Responsibility for Construction Site Injuries? Construction sites are inherently dangerous, with heavy equipment, toxic chemicals, electrical hazards, and more. When an accident occurs, and a worker or bystander is injured, who has responsibility for the victim’s damages? Workers may not need to fight over liability. California’s workers’ compensation insurance system provides a no-fault system where employers assume all liability. The downside, however, is that workers’ comp does not cover non-economic damages like pain and suffering except in extreme cases. The construction company. Every employer has a duty to maintain a safe working environment, and to provide the right safety equipment and training for their employees. Failure to provide these conditions, through either negligence or recklessness, may result in OSHA fees and fines, and may also mean the construction company is liable for the damages of those who have been injured. The owner of the work site. In some cases, contributing factors to an accident may include dangers at the construction site that were not created by the construction company. For example, employees of the work site may move construction equipment, or remove protective barriers. If you suffered injuries due to the hazards at a construction site that were not under the control of the company, the site owner may bear responsibility for those injuries. Construction site superintendent. The superintendent is responsible for ensuring everything runs smoothly and safely throughout the construction site. The superintendent controls when subcontractors come to the site, ensures the construction project remains on schedule, and must remove or mitigate all potential safety hazards throughout the site. Protecting workers, visitors, and bystanders may include checking safety equipment for any signs of wear and tear, ensuring all workers understand and use appropriate safety precautions, and that safety equipment is used at all times. In some cases, a superintendent may instruct a worker to ignore safety precautions in order to finish a job quickly; in other cases, the superintendent may have failed to provide safety equipment. If the evidence shows a superintendent breached their duty of care, and that breach caused injuries, they may be liable for the resulting damages. Construction workers. In some cases, construction workers may bear responsibility for their own injuries. For example, when a worker failed to follow appropriate safety precautions despite full knowledge of those procedures and requirements, or they attempted “time-saving” measures regardless of the risks to themselves or others. If a construction worker’s negligence or recklessness contributed to their own accident and injuries, they may have at least partial responsibility for their damages. What Damages Can Victims Recover After a Construction Site Accident? Medical expenses. Medical bills often mount quickly following an accident. Compensable medical expenses may include emergency care, transportation to the hospital, radiology, surgery, hospitalization, medication, rehabilitation, assistive devices, continuing or long-term care, and therapy. In some cases, an injured party may not know what their medical expenses will eventually total when they file their initial claim following an accident. In such cases, lawyers will determine costs through the help of expert witnesses and important factors, including but not limited to the victim’s age, earning capacity, and prognosis. Lost wages. Injured victims may be temporarily and even permanently unable to return to their prior work. Even “minor” injuries such as broken bones, strains, and sprains, may require six to eight weeks of recovery before a worker may be able to get back on the job. Anyone who has suffered more serious injuries, including traumatic brain injury, spinal cord injuries, burns, or crushing damage, may need months or even years for their body to heal. Lost wages in combination with medical expenses may quickly cause a bad financial situation to become catastrophic. Even if an employer offers their worker some compensation for time spent off of work after an injury, an accident victim may never receive the full wages they would have earned if they had been able to work. Lost income potential. Many construction site accidents cause permanent injuries, some that may prevent a worker from ever returning to their trade or profession in the same capacity they previously had. When a worker or bystander suffers injuries that leave them incapable of returning to work, they may receive compensation for their lost income potential. Wrongful death. If someone dies as a result of a construction site accident, and they would have been able to file a personal injury lawsuit had they lived, their estate may have the right to file a wrongful death claim to benefit their survivors. Persons who might qualify as survivors are generally immediate family members, including spouses or partners, children, elderly parents, and other relatives who were financially dependent on the decedent. In cases involving third-party liability or when an employer deliberately caused the injury, injured employees may sue for emotional distress—ongoing pain and suffering, emotional harm, and embarrassment may occur when an accident causes debilitating physical injuries, burns, scarring, permanent disabilities, memory loss caused by a brain injury, and overall reduced quality of life. How Do Parties With Liability for Construction Accidents Try to Get Out of Paying for Damages? Attempting to shift fault. After an accident occurs, an insurance company will usually send out their investigators to determine the cause of the accident. Those investigators will look for evidence that the accident was caused by someone other than their company—for example, that appropriate safety measures were in place and the construction worker should have used them, or the superintendent gave clear safety instructions to a worker who then disregarded them. The insurance company may try to prove that the worker caused their own accident or that an unsafe feature of the site caused the injury, rather than anything done by the construction company. Offering a low initial settlement. Immediately after an accident, the worker may have contact from a representative of the insurance company. Often that representative will issue a settlement offer that does not represent the actual amount the worker deserves for their damages. If the worker signs or accepts that offer, the insurance company may effectively reduce their liability. Disputing treatment. 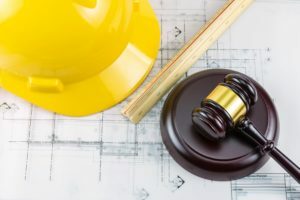 Insurance companies may attempt to prove the victim’s injuries occurred prior to the accident on the construction site, or that the worker contributed to the severity of their own injuries after the accident. They may argue that they bear no liability for prior conditions, or that the worker made their injuries worse through their own actions. Many injured individuals worry that a construction accident lawyer will cost too much. However, Aitken * Aitken * Cohn accepts our cases on a contingent fee basis, which means that the costs of litigation and attorney’s fees are deducted from any eventual settlement or judgment, rather than an upfront retainer paid by the client. If you suffered injuries in a construction accident, you may feel overwhelmed by the resulting physical, emotional, and financial stress. Perhaps you need help to navigate the insurance claims process, or you need an experienced advocate to use the legal system to get you the compensation you deserve. Contact Aitken * Aitken * Cohn in Santa Ana today at (714) 434-1424 or online to schedule a free consultation and learn if we may be able to help you.